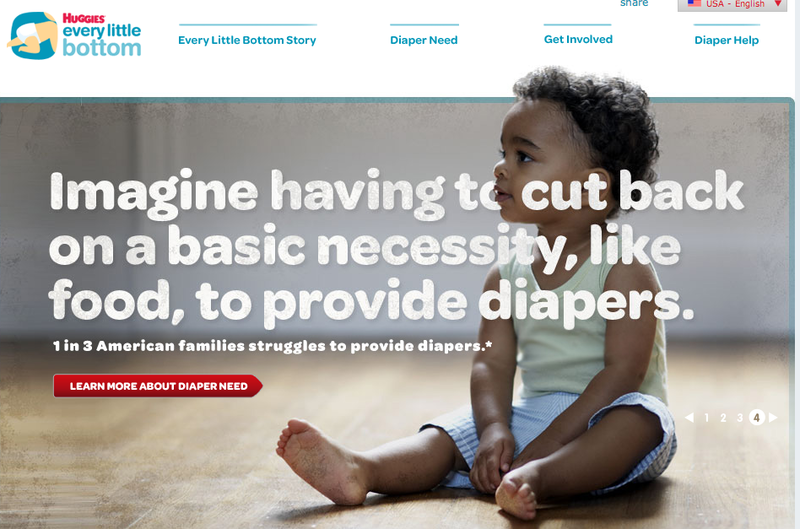 Huggies branded a symptom of poverty as Diaper Need — and then offered several solutions, including enrollment in the Huggies loyalty program. 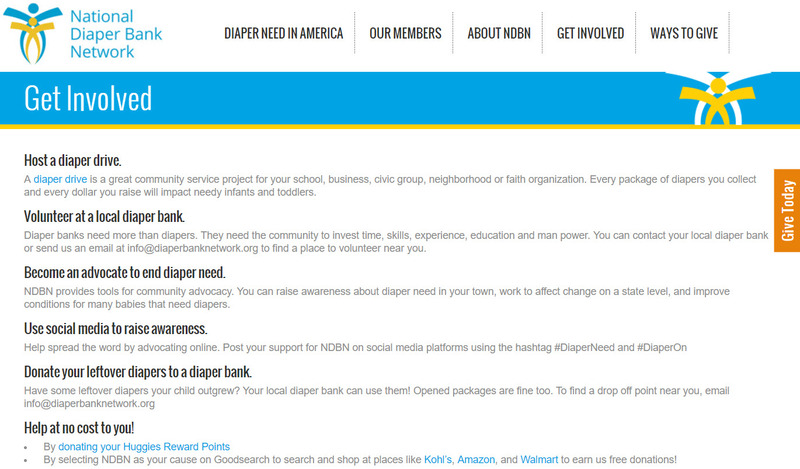 Narrator: “To share the devastating impact of diaper need, we created a website. We also engaged seven blog ambassadors, who reached over six million followers, creating a ground swell of diaper donations. Nonprofits helped rally grassroots support through diaper drives. Employees, customers, and consumers all joined the cause. Huggies branded a problem, Diaper Need, and then offered a set of solutions for it. Among those solutions: Buying Huggies diapers and joining its rewards program to use loyalty points for donating diapers. 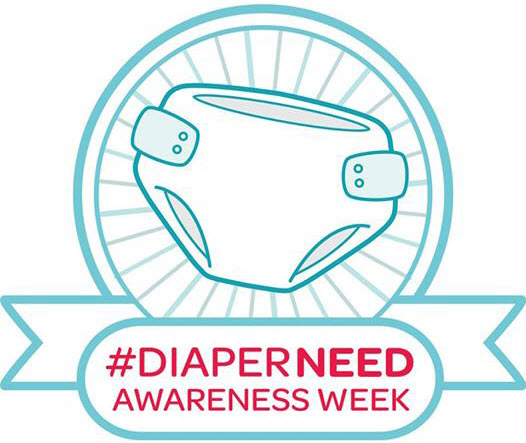 After naming the poverty syndrome as Diaper Need, Huggies successfully encouraged 14 states to issue official proclamations in support of an event called Diaper Need Awareness Week. Huggies sponsored Mommy Bloggers to promote Diaper Need Awareness Week. 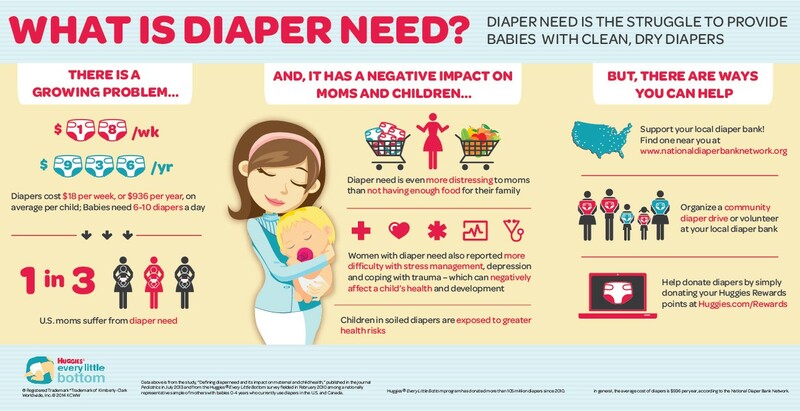 In their posts, Mommy Bloggers mentioned that Huggies would donate diapers to babies in need for every tweet or re-tweet using the hashtag #DiaperNeed. Huggies is the founding sponsor of its own community partner: The National Diaper Bank Network, a 501(c)(3) non-profit. Huggies deepened personal and professional relationships with its retailers via partnerships to donate to the National Diaper Bank Network. Tactics: Celebrities, Product-Cause Fit, Social Media, You engage. We’ll give.